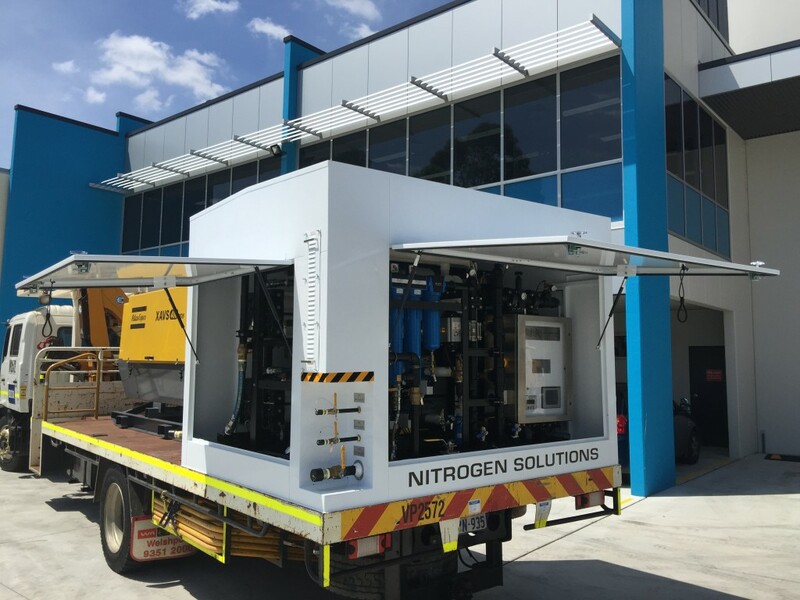 DECMIL EDE, a leading oil and gas services company were searching for a supplier capable of building a highly specialised and customised nitrogen system.OSGS was commissioned to build DECMIL a truck mounted system capable of delivering approx. 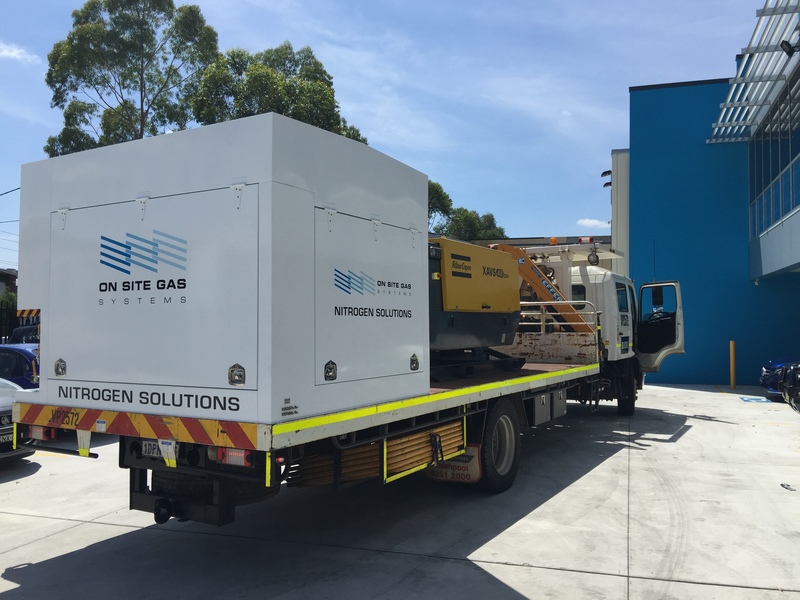 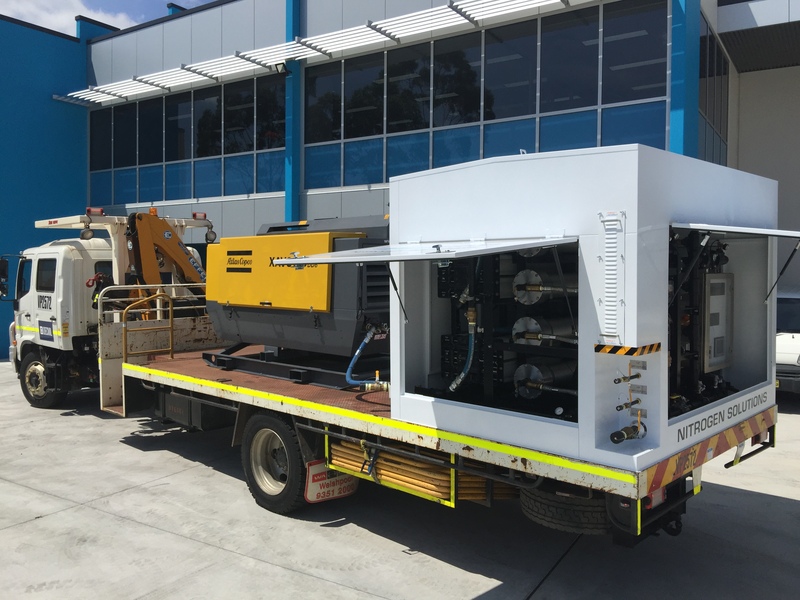 300 CFM nitrogen at 95% up to 150 PSI for various projects in the Queensland coal seam gas fields. 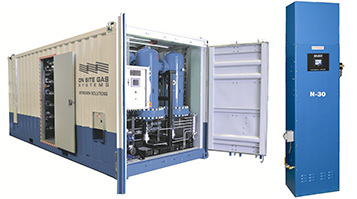 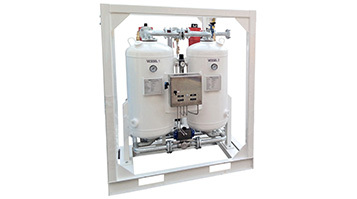 The package was designed and built by On Site Gas Systems in Sydney in 2015. 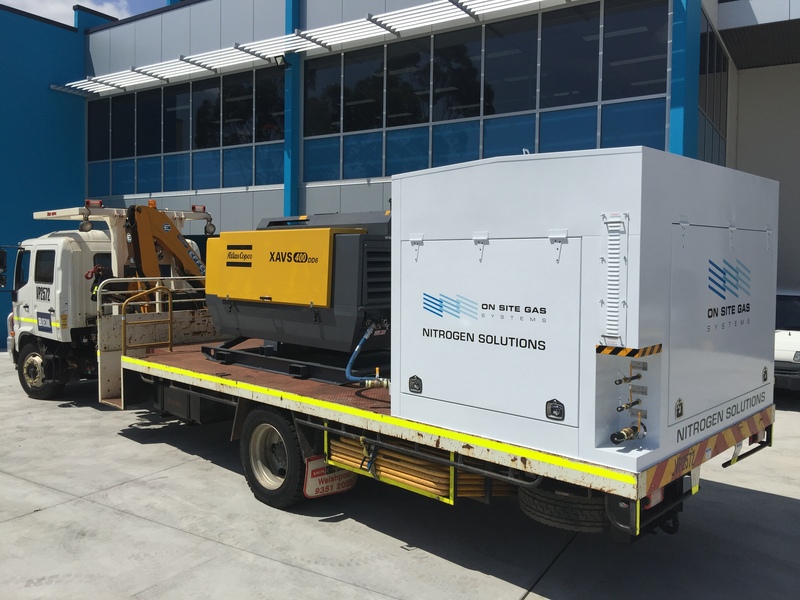 The customer free issued the actual truck for OSGS to utilise this from existing asset.